Fresh off of his spin as a bad guy on Season 2 of FX’s Fargo, funnyman Brad Garrett will appear as another baddie in the two-part season finale of Law & Order: SVU. In the episodes airing on May 18 & 25, Garrett will play a corrections officer at New York’s Rikers Island jail complex who has a long history of corruption, and violence against female inmates. Oooh, I can't wait to see how Olivia Benson chops down a pervy 6'8" perp! 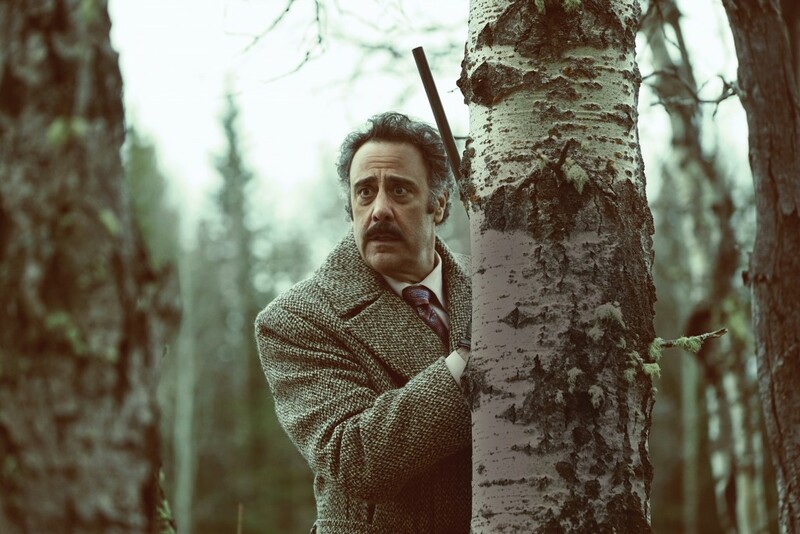 I spoke with Garrett before the season premiere of Fargo and asked if it was hard for him to escape his jolly Everyone Loves Raymond persona. The actor shared, “Comics are very dark people,” and says, “It’s our job to reinvent ourselves as actors. I was on a hit show and very grateful for it, but they wanna typecast you, and you gotta work a way at getting that next thing that shows a different side.” In Raymond, Garrett earned three Emmys and a SAG Award for his role as larger-than-life police officer, Robert Barone. But Garrett is in no hurry to abandon his first love — comedy and regularly performs stand up at his eponymous comedy club in Las Vegas’ MGM Grand Hotel and Casino. Law & Order: SVU, Returns May 4, 9/8c, NBC.